Lost Sheep Last Places including Relays now Available! 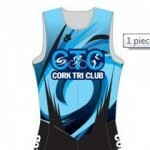 Last few individual and relay places are now available here for the Lost Sheep Triathlon run by Cork Tri Club in September. A great end to the season and great to see the relay places back on. For those not doing the whole thing (ahem..) a couple of local teams would be great to see so pass on the word!